Elephant Interaction and Elephant Back Safaris at Sun City is closed. Following the announcement in June this year that the Elephant Wallow would be closed for renovations during July & August 2014, It is with mixed emotions that they announced the decision to retire their elephants after a working life of almost 20 years and close all commercial operations as of the end of August 2014. TAA chief executive Gary Elmes says that after 12 years of educating and enriching the lives of countless visitors to Sun City, it is time to enter the next planned phase in the elephants’ lives, which is to release them back into the wild”. The first stage in the rehabilitation process will be to remove the elephants from any commercial interaction whilst they prepare for a life, which will ultimately have minimal human interference. Their translocation to a new property will be fully supported and monitored by their long standing handlers who have spent the best part of 14 – 20 years with them to minimize stress associated with the translocation and to ensure a desired positive outcome for each member of the herd. We wishSapi, Mana, Michael, Sharu, Chikwenya, together with her siblings, Tidimalo and Ngwedi a happy retirement. 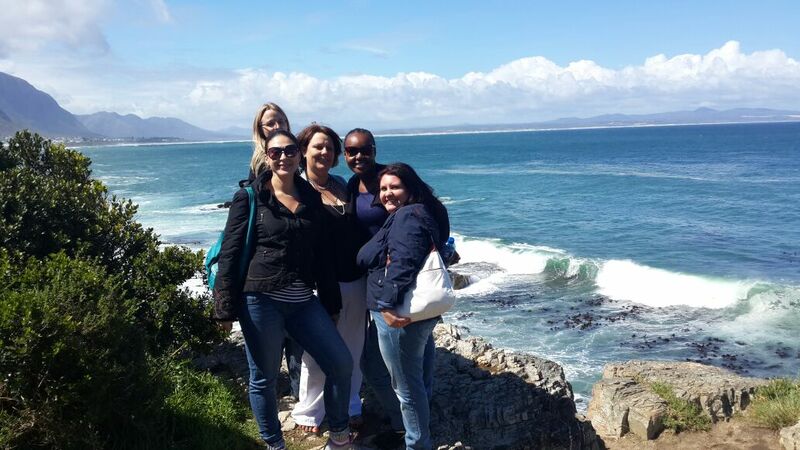 Our travel team recently spent five nights along the Garden Route for an intensive, action packed Educational. We asked them to keep us updated with a daily travel blog. By all accounts they had an amazing trip and were able to gather in-depth, first-hand knowledge of this beautiful region in South Africa. The team flew from Johannesburg to Cape Town. Here they met with their driver / guide and proceeded to Hermanus, about 1hr30 minutes from Cape Town Airport. The team had lunch at the Marine Hermanus (part of The Collection) – you can view their brochure below. They also had a chance to view The Quarters and Harbour House, both boutique hotels in the quaint seaside village, famous for its shore-viewing of the Southern Right Whales. They spent their first night in style at the luxurious Birkenhead House & Villa – part of the Royal Collection. And that’s how we start this journey. Our first moments out of the vehicle are met with the distinctive blowing of the horn by the whale crier of Hermanus, signaling the presence of the magnificent Southern Right whale. We were spoilt with superb views of these iconic creatures all around the bay. Back at the hotel, they enjoyed a hearty breakfast, before setting off on the next leg of their journey to Knysna, approximately 4 hours away. En-route they stopped at Grootbos Private Nature Reserve, a 5* eco lodge in Gaansbaai. A stunning drive, with captivating views, makes it easier to fight the guilty pleasure of a catnap most enjoyed on this part of the road trip. They gently came to a standstill with a slightly different kind of roadblock – a herd of sheep slowly circled around the vehicle on their own journey to greener pastures. In Knysna they did a site inspection of Knysna Hollow before proceeding to their hotel. The team spent the night at the unique Turbine Boutique Hotel & Spa, on Thesen Island, in the heart of Knysna. They spent the next full day exploring all Knysna has to offer, with two extraordinary highlights. Chatting over a delicious breakfast, the team casually brought up the subject of the Knysna Seahorse and how rare and endangered they are. The Knysna setting gives you more of a Lochness monster kind of expectation, but on the contrary these mystical creatures, which have captured the imagination of people all over the world, are tiny and harmless. Growing to only approximately 12cm in length, the Knysna Seahorse is only found in the Knysna, Keurbooms and Swartvlei estuaries. They can move their eyes independently like chameleons and are best known for their unique breeding style i.e. male pregnancy. The female lays her eggs in the male’s pouch, where they will safely grow, develop and ultimately hatch from. 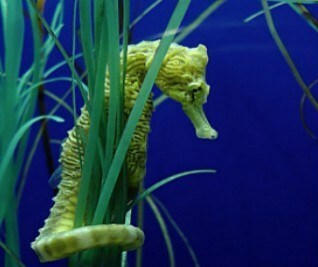 They are considered the most endangered Seahorses in the world, primarily due to their exceptionally limited distribution range. They are very susceptible to changes to their environment, which could easily lead to their extinction. The hotel manager arrived at the breakfast table with the “call” of a sighting. The team immediately jumped up and headed down to the jetty, located in front of the hotel. Straight onto their bellies, like excited children, they waited, scanning the mud. And then, slowly the creature moved, lifted its head and straightened its body – just hovering in absolute splendour. Next they joined a ferry for a humorous, yet informative guided cruise across the Knysna Lagoon to Featherbed Nature Reserve. They climbed “gracefully” into their awaiting tractor to wind their way to the top, for a spectacular view of the Knysna heads. They decided to enjoy the wonderful walk back down again, dotting in and out from the ocean viewing spots and back to the forested pathway to Danger Point lookout. A short walk ended in a well-deserved traditional lunch of rys (rice), vleis (meat), aartappels (potatoes) and malva pudding. After lunch it was time to check-in to their luxurious hotel. The group stayed at the 5* Conrad Pezula Hotel, featuring ocean views and a superb links golf course. The Travel team split up on the second last night and wrapped up their amazing Garden Route trip with an overnight stay at either Shamwari Long Lee Manor or Kariega Ukhozi Lodge and the last night all together again at Gorah Elephant Camp. The lodges in the Eastern Cape are all malaria free and offer Big Five Safaris (lion, leopard, rhino, elephant and buffalo). “There is no better way to end a journey such as this, than by doing it Relais & Chateaux style in the bush. We were spoilt with wonderful first class service, decadent food and beautiful scenery. The team flew back to Johannesburg via Port Elizabeth. What a trip it had been!! Taking its name from Chậteau de Marly, built in the 17th Century for the leisure activities of Louis XIV and his family, The Marly says it all. This five-star hotel with its contemporary beach ambience is located in Camps Bay. The hotel offers eleven spacious suites, offering either sea- or mountain views; mirrored contemporary en-suite bathrooms; and state-of-the-art amenities for today’s discerning traveller. The luxury and deluxe suites have jacuzzis, outdoor showers and large, welcoming balconies. Among the hotel facilities are a private, pool-terrace bar and courtyard, 24-hour room service and a bath-butler service. Umi, a modern Japanese restaurant, with seating capacity for 200 guests, will satisfy diners looking for tasty, healthy, in-house eating options. It boasts Camps Bay’s newest, chicest, 80-seater bar that overlooks an outside terrace. A high-tech conference venue will satisfy the business requirements of top executives and their teams. The hotel and restaurant is located in the heart of the Camps Bay strip, so it’s spot-on for those wanting to be “where the cool people are”. Situated between Somerset West and Stellenbosch lies Cavalli Wine Estate and Stud Farm. Just 45 minutes from Cape Town, this gorgeous new property offers a multitude of products; wine tastings, art gallery, fine dining, an event venue and exquisite views of the vineyards and Helderberg Mountain. The newly opened Equus Restaurant offers fine dining, superb eco-design and a relaxing outlook over the vineyards and lake. Cavalli’s approach to cuisine can be described as “a contemporary take on the classics”, encompassing a combination of freshness, flavour and flair. Real, humble food cooked textbook style, paired with an expertly crafted wine list and selected whiskies. Cavalli estate aims to encourage the local arts through its platforms of public sculpture spaces and an art gallery within the Restaurant / Function complex. The Gallery will retain a permanent installation showcasing classic South African artists, as well as a rotating exhibition of other notable works within the Cavalli Private Collection. One of our favourite venues in Cape Town, Gold Restaurant, has announced that they have taken over management of the adjacent venue, Bennett Street. This versatile function space can comfortably hold 200 guests banquet-style and can be operated independently of the restaurant. For larger groups of up to 2500 guests, the entire complex, including Bennett Street itself, the road after which the venue was named, can be closed off to create a “street-party” atmosphere. Sanctuary Olonana, situated in the magnificent Masai Mara, have announced the completion of an extensive refurbishment which includes an upgrade to the lounge, dining room and library, as well as soft refurbishment to the tented rooms and pool area. In celebration of the new upgrades, Sanctuary Olonana is offering guests their first night free when staying 3 nights. The offer applies only to 3 night stays at Sanctuary Olonana between: 3 January – 20 June and 1 November – 15 December 2014. Ledger Plaza Bahari Beach Resort is ideally located on the shores of the Indian Ocean, amidst a large coconut grove and lush tropical vegetation. The cottage-style rooms and suites are spread along a white sandy beach, while the restaurant, bars and swimming pool overlook the ocean. 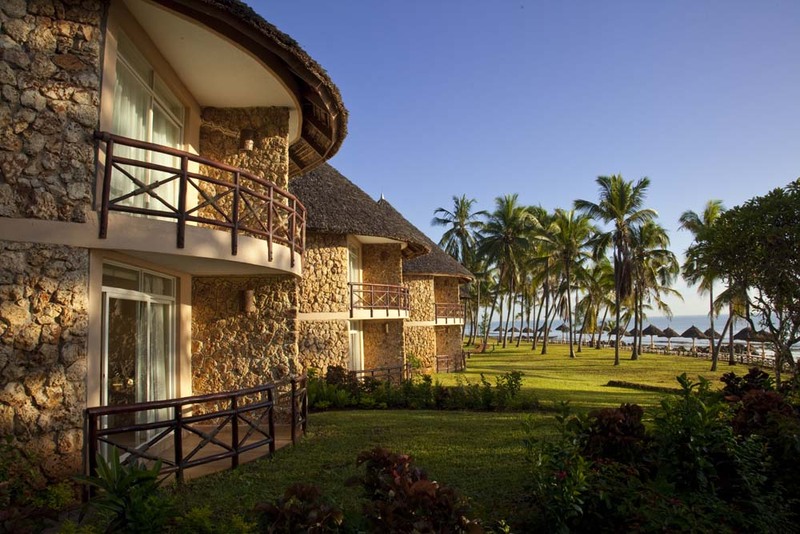 The resort is a short distance from the hustle and bustle of the capital, Dar es Salaam. The hotel boasts 96 rooms, 2 restaurants and bars, different sports grounds and activities, a white sandy beach, a gym and a large swimming pool. Its brand new conference center, equipped with the latest technology, is suitable for large events in a relaxing environment (10 to 500 pax).